Various studies suggest Christians in North America are not qualitatively different in their character and practices than non-believers. While some churches are growing numerically, many wonder to what impact. Can we determine if our churches are producing Christians who look, think and act like true followers of Jesus Christ? The findings reveal the current state and forecast of spiritual formation in the U.S.A. 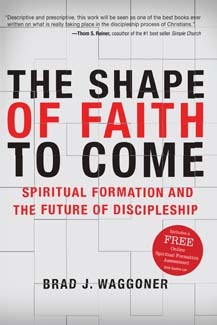 Adding encouragement to his insights, Waggoner calls all Christians to spiritual maturity and challenges church leaders to intentionally take up the mantle of making true disciples.